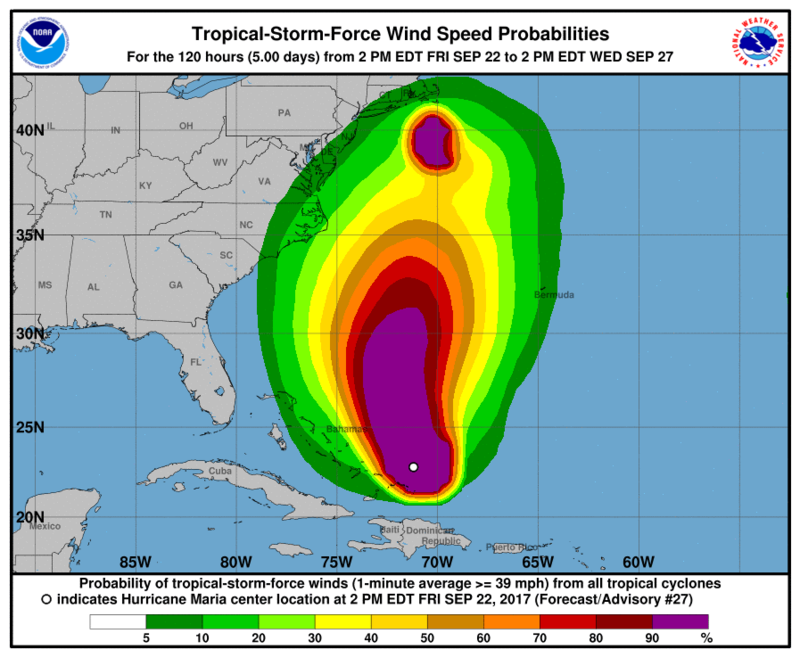 The latest forecast from the U.S. National Hurricane Center said, “Maria is moving toward the north-northwest near 9 mph [15 km/h], and this general motion is expected to continue through Saturday. A turn toward the north is forecast by Saturday night. “Maximum sustained winds remain near 125 mph [205 km/h] with higher gusts. 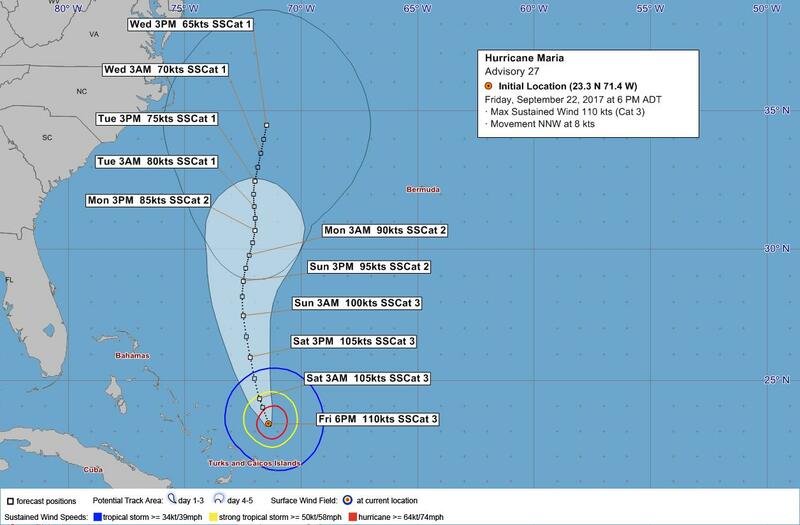 Maria is a category 3 hurricane on the Saffir-Simpson Hurricane Wind Scale. Gradual weakening is forecast during the next 48 hours.